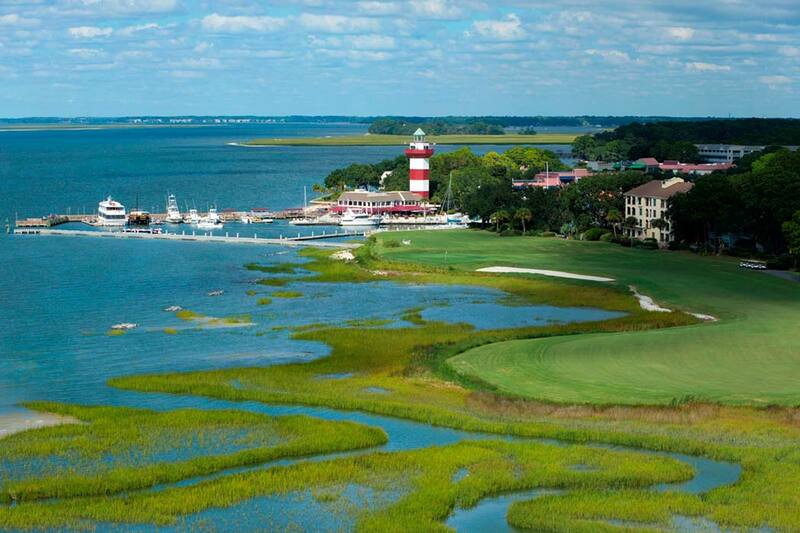 Harbour Town Golf Links seems to be the ideal backdrop for historic firsts. The award-winning layout in Hilton Head, S.C., represents the first golf course design work in the now acclaimed portfolio of Jack Nicklaus, as the Golden Bear collaborated with friend Pete Dye to open Harbour Town in 1969—the first year one of the PGA TOUR’s longest-running events debuted. This year, Harbour Town and the RBC Heritage serve as the setting for another first: the professional debut of Bryson DeChambeau, who captured worldwide attention with his performance last week at Augusta National with his place as the low amateur in the Masters Tournament. DeChambeau got to within one of defending winner Jordan Spieth’s lead in the second round, but a triple bogey at the 18th put him four strokes back going into the weekend. In his last round before turning professional, Bryson shot 72 to finish tied for 21st. As always, the Masters Tournament buzz throughout Georgia will spill over to its neighbor to the east. Just four days after a worldwide audience was glued to their TVs watching a dramatic Masters unfold, 32 players from last week’s Masters field will tee off in the RBC Heritage presented by Boeing at Harbour Town. Having finished top-10 in the year’s first major championship, Brandt Snedeker, Matthew Fitzpatrick, and Paul Casey are coming into one of the PGA Tour’s stalwart events (Colonial Country Club in Fort Worth, Texas, has had an event since 1946, making it the longest-running regular Tour event held at the same location). The group is armed with their best golf games. Missing is defending champion and two-time RBC Heritage winner Jim Furyk, due to injury. But a deep field will battle for a $5.9 million purse. The tournament airs on Golf Channel Thursday and Friday from 3:00 p.m. to 6:00 p.m. ET. Weekend coverage is Saturday and Sunday from 1:00 p.m. to 2:30 p.m. ET on Golf Channel and 3:00 p.m. to 6:00 p.m. ET on CBS Sports. An illustrious list of winners has come out of 47 past RBC Heritage tournaments—including course designer Jack Nicklaus, who won the event in 1975. Other past winners are Arnold Palmer, Nick Faldo, Hale Irwin, Johnny Miller, Greg Norman, Nick Price, Tom Watson, the late Payne Stewart, and Bernhard Langer, who was in contention to win last week’s Masters Tournament, turning the record book upside down. Course collaborator and 1975 RBC Heritage winner Jack Nicklaus describes the genesis of Harbour Town. It only took 23 visits to design what Golf Magazine called in 2015 one of the “10 Most Influential Designs You Can Play;” and what Golf Digest has consistently ranked in their prestigious list of America’s Greatest Golf Courses. Harbour Town remains a timeless test despite its status as one of the shortest layouts on the PGA Tour schedule. Narrow fairways and small, deftly contoured greens combine to offer a strategic challenge, requiring well-positioned shots to generate birdie chances. Poor drives will force players to work their way around and over hundreds of live oaks and pines. Harbour Town’s iconic red-and-white lighthouse behind the 18th green still helps vessels navigate Calibogue Sound—making for one of the best seaside views in golf. Although he won’t be playing this week, Furyk doted on the golf course.